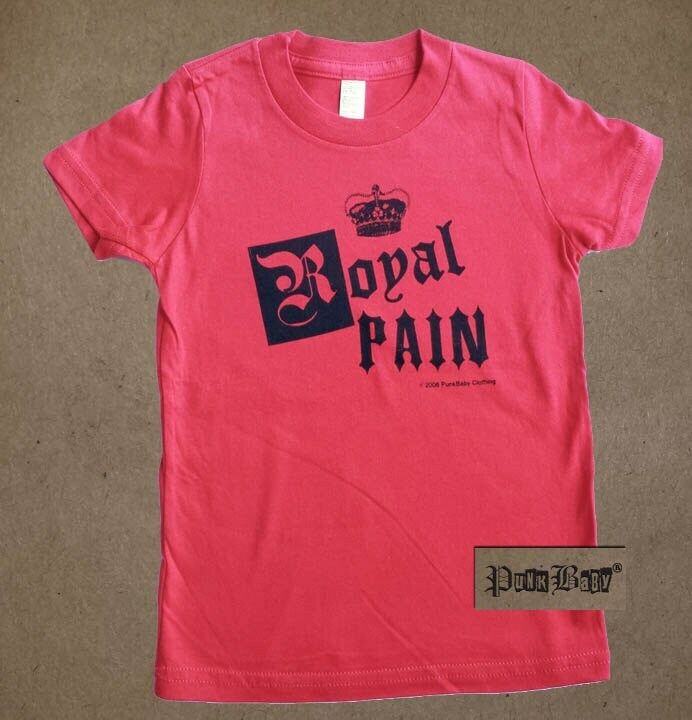 "Royal Pain" red tee for toddlers with more style than the average tot! -Inspired by little princesses & princes who can be a bit too much to handle! Punk Baby, Skull & Rattles Logo, hand screen printed, red, pink or black, cotton beanie for pirate, punk or just plain precious babies!